Hanoi, the capital city, is a modern but classical city. Sapa, a typical remote area in Vietnam, gives the visitors varying feeling when visiting each parts of it, from the colorful local markets to peaceful life of Sapa. 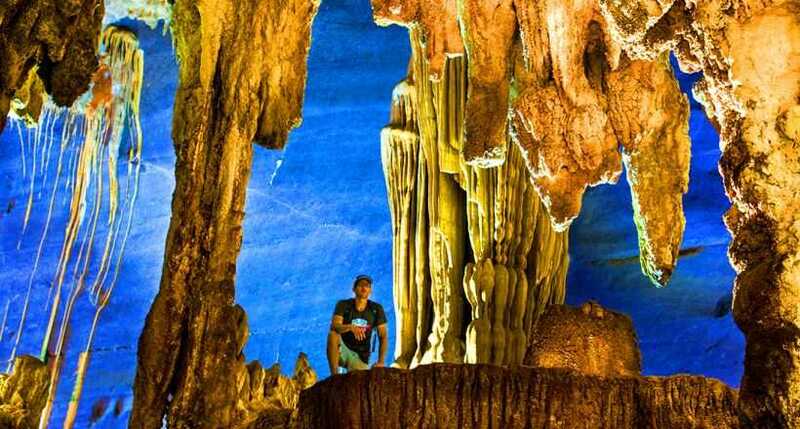 Ninh Binh, a historical place - the Ancient Citadel of Hoa Lu blending with a tourist hub - the Tam Coc grottoes. Mai Chau - a place for refreshment with green of the hill and terraced fields and the friendliness of the locals. Halong Bay with its indubitable reputation offers numerous caves and islands which give the visitors the memorable moments in Vietnam. 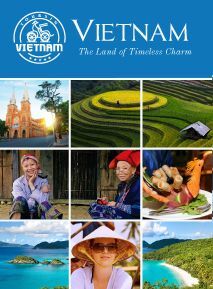 The northern area of Vietnam is the major tourist hub of Vietnam with many spots of beauty, historical relics and famous places. 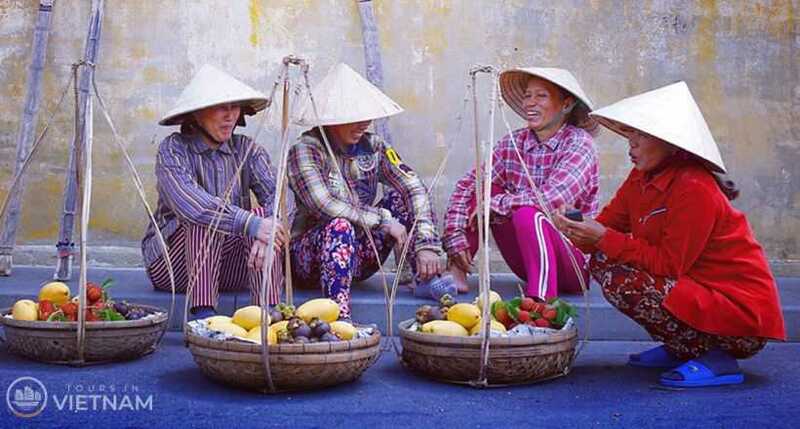 The Discover North Vietnam tour will fully give you the best things in the North of Vietnam in 10 days with 9 attractive places. On arrival at Noi Bai International Airport, welcome to Vietnam by our guide and transferred to hotel for check in. Hanoi - Vietnam's capital, is a stylish and gracious city that retains an unique old world charm and some Asia's most striking colonial architectures. The many lakes and parks make for relaxing atmosphere. Overnight in Hanoi. We will open our Hanoi tour by visiting Ho Chi Minh Complex with the Mausoleum, Presidential Palace, House on stilts and unique One Pillar Pagoda. Finally in the morning, we will peek into the Temple of Literature, an 11th century temple, was known as the first university of Vietnam. After the lunch, we continue our trip by visiting the Museum of Ethnology, an interesting place that you shouldn't miss when visiting Hanoi. Inside the museum, many things awaiting you to explore. Surely you will have lot of knowledge about the minorities in Vietnam after the visit. Next, we will head to Hoan Kiem Lake. There, you are taking a Cyclo trip around 36 ancient streets of Hanoi Old Quarter. Lastly, a Water Puppet Show at the Thang Long theatre will end up our today. Evening, transfer to Hanoi railway station for night train to Lao Cai. Overnight on train. We will arrive in Lao Cai in the early morning before transferring to local restaurant for breakfast. Then, we head to the bustling Sunday Market at Bac Ha. There, you might be surprised by the variety of kinds of goods, the colorful of the stores and sellers as well as the excitement. You can buy anything you want here like clothes, accessories, crafts... Besides, the sellers here are the local minorities so this is also a great chance for you to talk and understand more about them. Lunch will be served at local restaurant before reaching the Hmong's King former residence and Ban Pho to see how they make the local maize alcohol. Transfer back to Sapa in the afternoon for relax and overnight stay. NOTE: The alternative local markets will be replaced depending upon your departure. After breakfast, we will move to the Sapa Market which is a various collection of goods and minorities. Then we climb up Sapa hill to see the whole view of Sapa and take many beautiful photos. Moreover, on the Sapa hill, you can see varying kinds of strange and rare flowers like orchids and this is also the best chance to take pictures of rare things. In the afternoon, continue our exploring Sapa tour by visiting the village of Ta Van. There, we have the chance to see a local house of Dzay and Dzao people to experience their daily life and know more about their tradition and custom before transferring back to Lao Cai for train to Hanoi. Overnight on train. We arrive in Hanoi in the early morning, check in hotel for rest and breakfast. Around 8.00 AM, transfer to Ninh Binh province with guide and driver. Upon arrival in Ninh Binh, you will enjoy 2 hour rowing sampan boat trip along the poetic river with green rice fields in both of sides will make you comfortable and in peace. Then, we move to the Hoa Lu Ancient Citadel and visit the Temples of Dinh King and Le King - two national heroes. Finally, to end up our today, we will peek into the Bich Dong Pagoda before driving back to Hanoi for overnight stay. 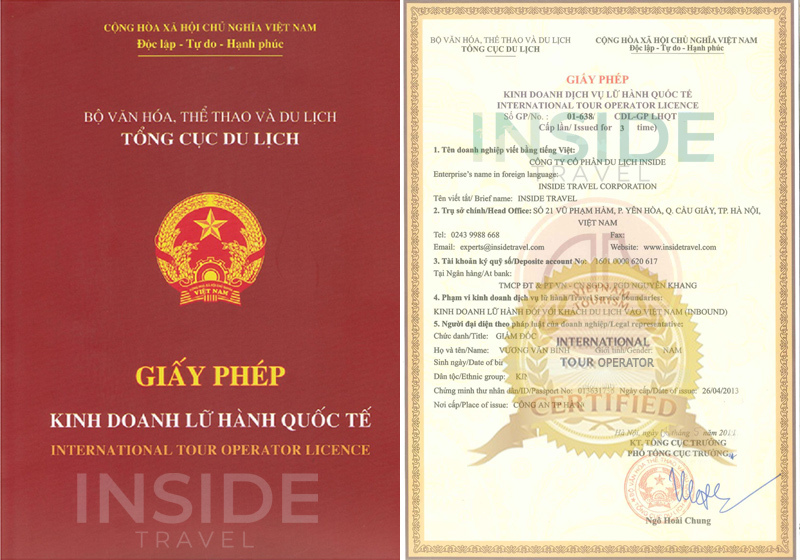 Leave Hanoi, we will continue to explore the North of Vietnam by heading west towards Hoa Binh City. Then going up the Mai Chau valley and enjoy the wonderful scenes here with green terraced fields, green hills dotted by small local houses built on stilts. After taking many beautiful pictures of Mai Chau valley, we will visit the Poomcong village - residence of the White Thai people. This will be your unforgettable memories to experience local life by chatting and enjoying dinner with special local food while listening traditional music performance. Overnight at homestay. After breakfast, we continue exploring the Mai Chau village by visiting Lac and Van villages, looking local people work with their cattle on the fields and learning how to grow the rice. Next we visit Muong village to understand more about one of the main minorities in Vietnam. Finally, a delicious lunch will end up our today before saying goodbye to Hoa Binh and back to Hanoi. 08.00 AM: Our driver picks you up from hotel, transfer to Halong City via 165km (about 3.5 hour drive). The drive goes through the Red River Delta, so we'll have plenty of chance for taking photo of Vietnamese farmers tilling the vast green paddy field. On the half way, we will have a visit to a handicraft workshop with fine clothes and embroidered paintings. Embark on Cruise followed by cruise briefing. Those who fancy some experience in cooking Vietnamese dishes can join in our brief Vietnamese cooking demonstration on board while having some free drink. Dinner is served with selection of Vietnamese food and seafood. Socialize with other guests or just laze around. Overnight on board. Transfer back to Hanoi and trip finishes at the hotel. Free at leisure for shopping in the Old Quarter before transfer to the airport (without guide) for your departure flight.